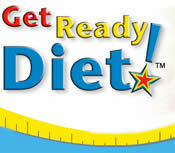 The Get Ready Diet is an online weight loss program that was developed by a board certified Physician. Creators of the plan claim that you can lose ten pounds in the first four weeks on the diet. The diet is based on the principle of ‘supercharging’ the metabolism so that the rate of calorie burning is increased. Eating small frequent meals and alternating the ratios of proteins, carbohydrates, and fats in the diet combats the tendency toward neurotransmitter tolerance. This is thought to be one reason why metabolism often slows down on calorie reduced diets. The Get Ready Diet follows the SHED principle for weight loss, which is said to incorporate all the principles of a perfect diet. The diet is easy to follow to maintain your ideal weight because it does not involve any prepackaged foods or shakes. You won’t feel hungry on the diet because you will eat adequate portions at frequent intervals. The diet is based on up to date nutritional information and scientific research. Does not require counting or measuring portion sizes. Studies show that accountability increases the chances of weight loss success. One of the major elements of the program is the computer generated meal planner, which lets you choose the foods you enjoy from a list, and then creates a weekly meal plan. The meal generator constantly changes the ratio of carbohydrates, proteins, fats and fiber and is updated every Sunday morning. The plans are based on eating four low glycemic meals a day at least two hours apart and you are allowed to switch the order of two of the meals if desired. A handful of nuts once or twice a day is allowed for snacks if desired. For breakfast you may select from any foods from the following list: all bran, oatmeal, whole wheat bread, Canadian bacon, soy milk, fruit, decaf coffee or tea. For all meals you are not permitted to deep fry foods, cook them in saturated fats or to cover them with fat-laden sauces. Recommended cooking methods include grilling, broiling or frying in Pam or olive oil. Herbs and spices are recommended to boost flavor without adding fat. You can have as many egg whites as you like but a maximum of one egg yolk per serving. Sugar, artificial sweeteners, ketchup, salad dressings and processed foods are not permitted. Cheating on the diet is allowed and dieters are advised that this should be limited to occasionally, however no specific guidelines are given as to how often it is acceptable to break the diet plan. Chicken breast, fish, tofu and soy products, eggs, fruits, vegetables, whole wheat bread, all bran cereal, oatmeal, nuts, mustard, soy sauce, olive oil, vinegar, light mayonnaise. Exercise is encouraged and dieters are told that moderate exercise is actually better for the body than high intensity exercise. Interval training, which involves alternating high and slow speeds of aerobic activity like cycling or running, is recommended because it burns more calories and involves less stress on the joints. Dieters are also advised to do light weights at the same time as aerobic exercise to multitask. Examples include doing bicep curls while riding the exercise bike or while walking. A 12-month subscription is $49.95 per month however a limited time offer is available for $19.95 a month. After the first month you may cancel your membership at any time. The computer generated meal plan makes the diet easy to follow. Does not eliminate entire food groups. Provides a healthy balance of proteins, fats and carbohydrates. Alternating calorie and macronutrient intake may help reduce metabolic slowdown, which commonly occurs on calorie-reduced diets. Meal plan is confusing with no guidance for portion sizes. Encourages the intake of frozen vegetables rather than fresh. Only provides a few recipes. Meal plan often generates strange food combinations like fish with oatmeal and strawberries. Diet is lacking in flavor and variety and may quickly become tedious to follow. The Get Ready Diet would appear to be most suited to dieters who prefer to have a meal plan provided for them. Unfortunately the meal plans are lacking in guidance in regard to portion control, which may limit the dieter’s chance of success when following the meal plans.